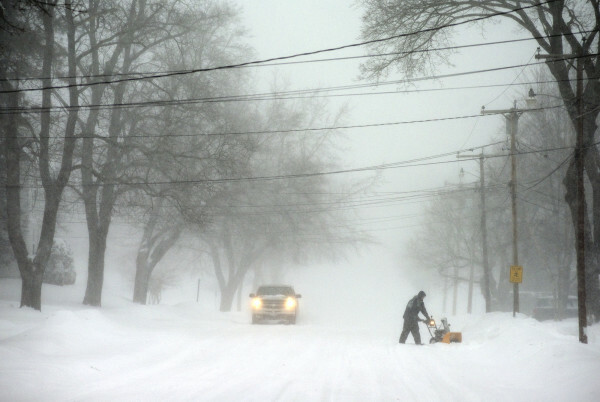 A view down Norway Road in Bangor during the snowstorm on Jan. 27, 2015. 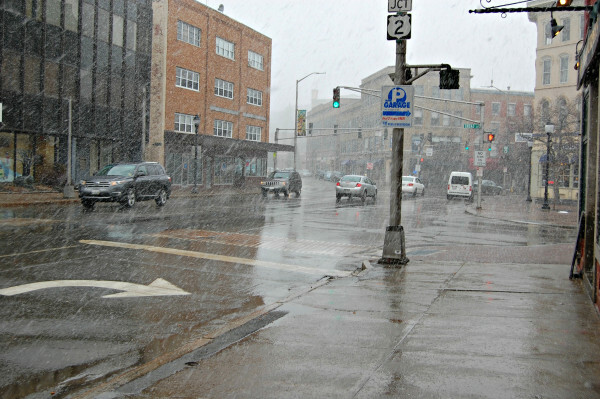 Wet, heavy snow falls on downtown Bangor at 2 p.m. Saturday, April 4, 2015. 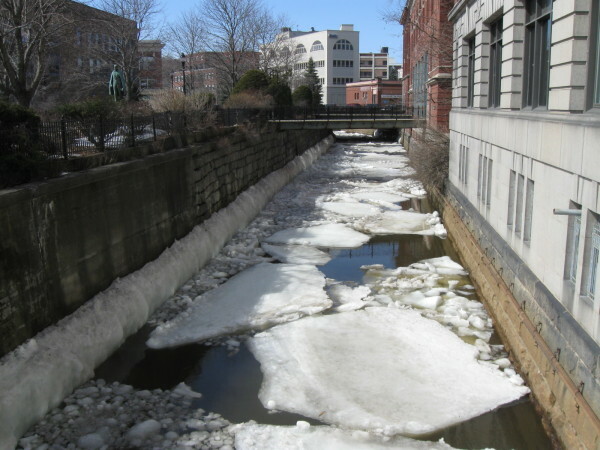 Even though the temperature in Bangor was a balmy 57 degrees April 3, 2015, and area residents had ditched their winter coats in favor of bare heads, summer skirts and shorts ice still coated Kenduskeag Stream. 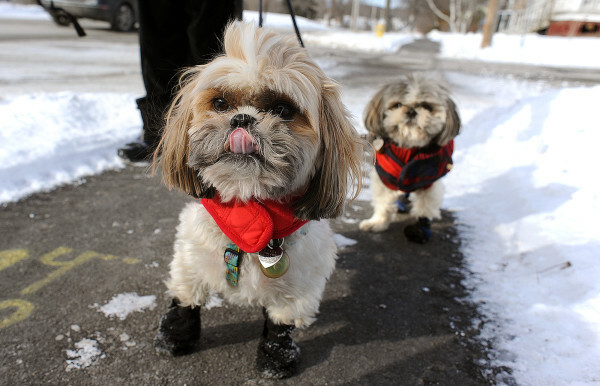 Chilly little shih tzus Daisy (left) and Sophie wear thier doggie booties out in the cold Jan. 26, 2015, as they take a walk up Union Street with their owner Judy Pusey. Sophie (right) managed to lose one of hers along the way. 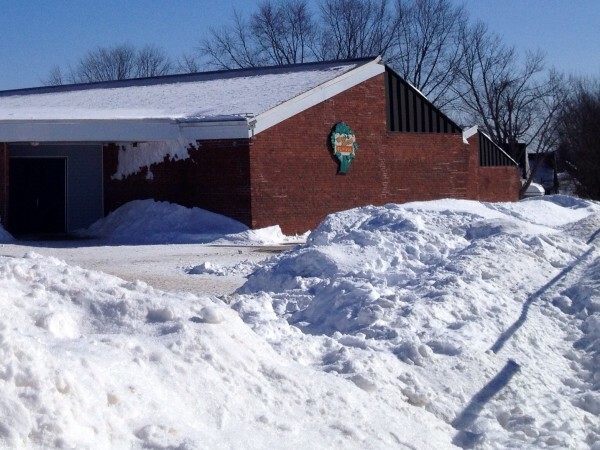 Snow is piled up in front of the playground at Vine Street school in Bangor Feb. 13, 2015. BANGOR, Maine — The National Weather Service has confirmed what residents of the Queen City have been saying for weeks — 2015 is the coldest on record for the city. Between Jan. 1 and July 31, the average temperature in Bangor was 38.9 degrees, the station in Caribou announced Sunday. It was the sixth-coldest year on record in Caribou for the same time period. Portland was not as cold, according to the weather service in Gray. For the same time period, the temperatures were the 20th-coldest on record in the past 75 years. Maine’s largest city had its coldest February and the warmest May on record in 2015. The month of July was the eighth-driest in Bangor, with just 1.16 inches of rain recorded, the weather service in Caribou said Sunday. Thunderstorms late Monday night into Tuesday morning in western, northern and Down East Maine are expected, according to the forecast. Small hail, gusty winds and strong downpours are possible, the weather service said. Seas along the coast may build to 5 or 6 feet as any storms approach. The storms are expected to affect Aroostook, Washington, Hancock, Penobscot, Piscataquis, Somerset, Franklin and Oxford counties.